Against all odds, Atletico Madrid have yet to record a win in the Champions League group stages this season. Los Rojiblancos shared the spoils with the likes of Roma and Qarabag, while suffering a 2-1 loss to Chelsea at their Estadio Wanda Metropolitano. Diego Simeone’s troops face a must-win situation against Qarabag and we predict that they are going to leave their hearts on the field. 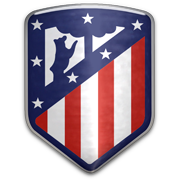 It is well known that Atletico Madrid are a real force to be reckoned with at home and we are positive that Antoine Griezmann and Co. are going to pick up all three points from Tuesday’s football match. Qarabag did well to hold los Rojiblancos to a goalless draw at Baki Olimpiya Stadionu in their last group game, but we do not believe that they are capable of upsetting the star-studded La Liga side in Madrid. Taking everything into account, the visitors are likely to return home empty-handed. Over the years Victor Machin Perez - Vitolo has established himself as one of Sevilla’s key players. The pacey winger, who is capable of playing as a forward as well, won his third consecutive Europa League trophy with los Sevillanos in 2016. Vitolo was born in Las Palmas on 2 November, 1989 and he played for his home-town club Las Palmas from 2010 to 2013. The Spanish footballer joined Sevilla on 28 June, 2013 and, no doubt, he made the right decision when he moved to Estadio Ramon Sanchez Pizjuan. Vitolo played one game for Spain in the Euro 2016 qualifiers, but he failed to make the final cut. However, he established himself as a first-team regular under Julen Lopetegui. Vitolo scored his first goal for La Furia Roja in an 8-0 win over Liechtenstein and he provided an assist for David Silva as well. He has a contract with Sevilla which expires on 30 June, 2020.